Shailene Woodley has been named the 2014 CinemaCon® Female Star of Tomorrow Award winner and will be presented with the honor next month in Vegas. The annual gathering of theatre owners and industry professionals will take place at Caesars March 24-27th, with the awards ceremony taking place on the 27th during the CinemaCon Big Screen Achievements Awards ceremony. Woodley delivered an amazing performance in 2013’s The Spectacular Now and will star in the much-anticipated 20th Century Fox film adaptation of the heartbreaking novel, The Fault in Our Stars, hitting theaters on June 6th. Woodley will also be seen starring in the sci-fi action film Divergent coming to theaters on March 21st. 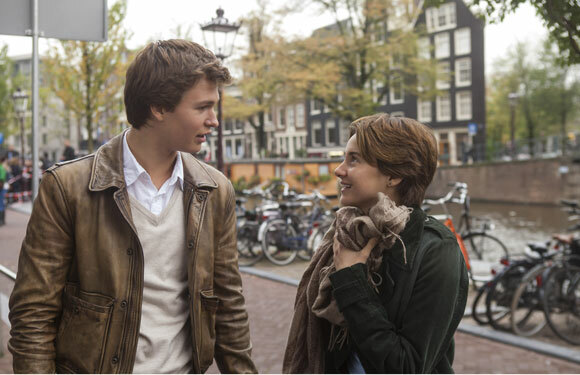 The Fault in Our Stars is about Hazel (Woodley) and Gus (Ansel Elgort), two extraordinary teenagers who share an acerbic wit, a disdain for the conventional and a love that sweeps them on an unforgettable journey. Their relationship is all the more miraculous, given that they met and fell in love at a cancer support group. The Fault In Our Stars, based upon the number-one bestselling novel by John Green, explores the funny, thrilling and tragic business of being alive and in love. The film also stars Laura Dern, Sam Trammell, Nat Wolff, and Willem Dafoe.